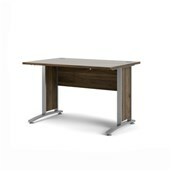 Prima from Tvilum is a collection of office furniture for anyone who wants a wide range of options and good features, together with high quality and durability. 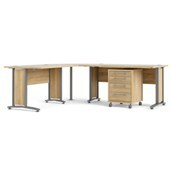 The collection consists of a broad range of office products in a wealth of colours, which you can mix however you want. 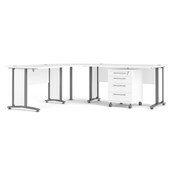 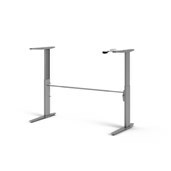 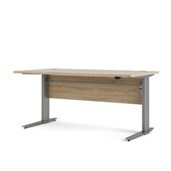 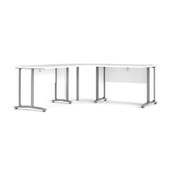 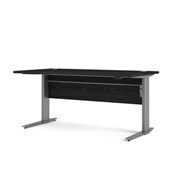 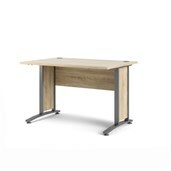 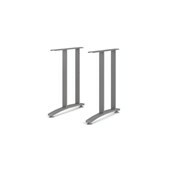 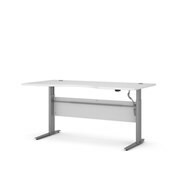 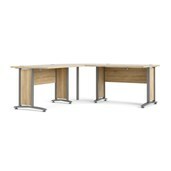 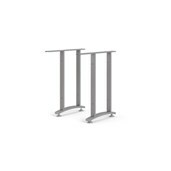 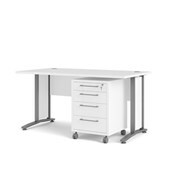 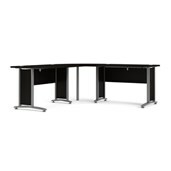 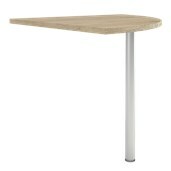 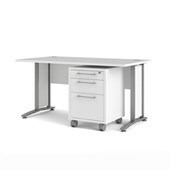 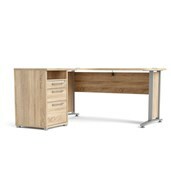 Prima desks have a 22 mm thick table top and fixed legs or a height adjustable frame. 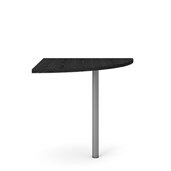 Both types naturally have adjustment screws under the base so that you can compensate for uneven surfaces. 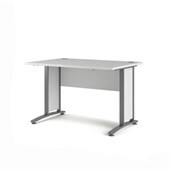 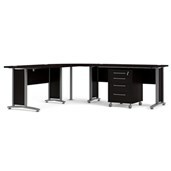 The desks are available in a range of sizes, with or without cut-outs. 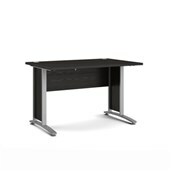 Most desks have cable running facilities. 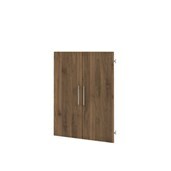 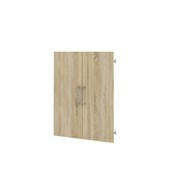 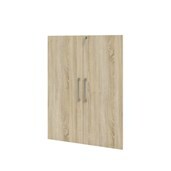 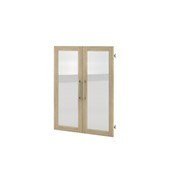 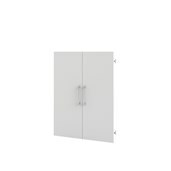 The bookcases can be used with the shelves provided, or supplemented with doors and/or drawers. 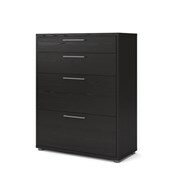 Filing drawers are also available. 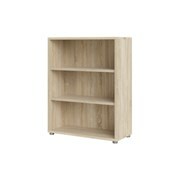 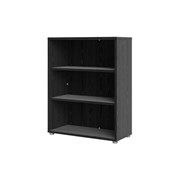 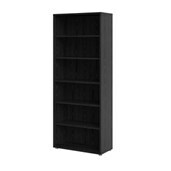 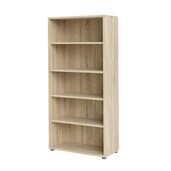 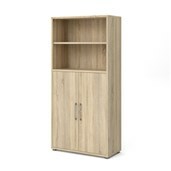 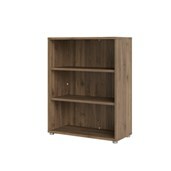 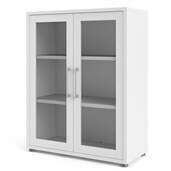 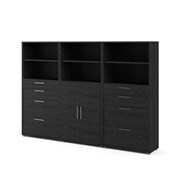 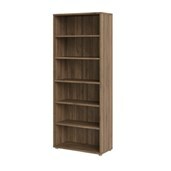 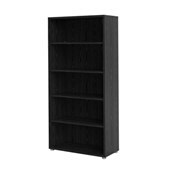 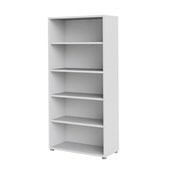 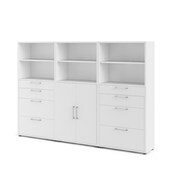 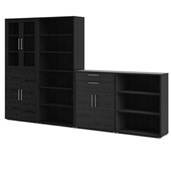 Bookcases are available in a range of sizes. 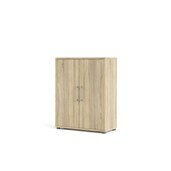 The Prima collection also offers drawer modules which can be placed under the desk to provide handy storage space. 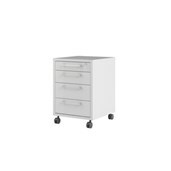 The drawer modules have solid, stable wheels under the base, so it is quick and easy to push the module out of the way when necessary. 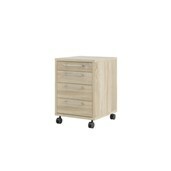 The two front wheels are lockable. 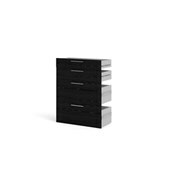 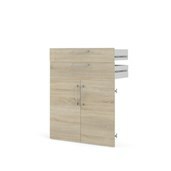 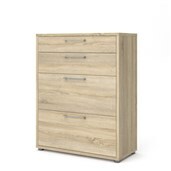 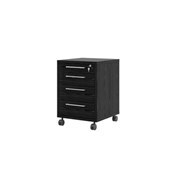 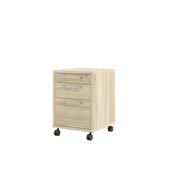 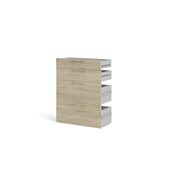 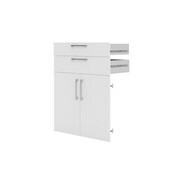 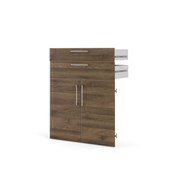 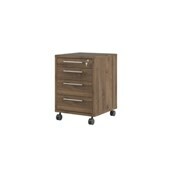 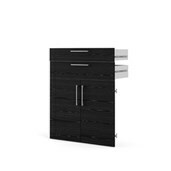 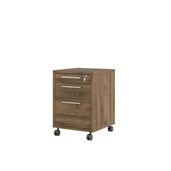 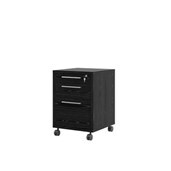 Drawer modules are available with or without file drawers and the top drawer can be locked. 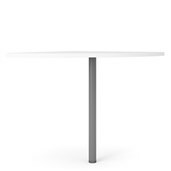 Prima furniture primarily has a strong scratch-resistant melamine surface. 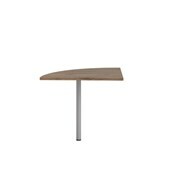 Certain parts of individual models have a different surface. 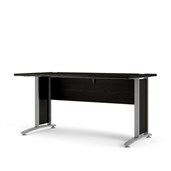 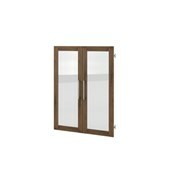 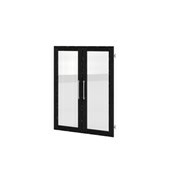 See the specifications tab for further details.